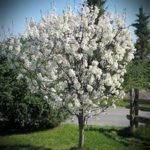 As Old Man Winter once again sends his frosty chill across Ontario and we seek refuge from the cold, let’s talk about a native tree that isn’t chilled at all by Hamilton’s winter, a tree that can take even more frigid environments. Populus balsamifera, also commonly referred to as a poplar, balm poplar, black poplar, tacamahac, and balm of Gilead, is a medium-sized tree that is distributed through our nation from the Atlantic Coast and northern Quebec across to the Yukon and eastern British Columbia. 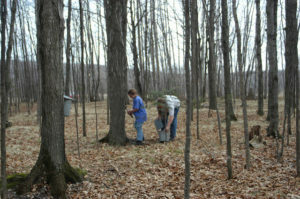 The Balsam Poplar grows eagerly in Hamilton’s climate zone 6, but the tree is also suited to harsher temperatures, excelling as far north as zone 2 and lending credibility to the Balsam Polar’s reputation as one of the toughest and most adaptable deciduous hardwood trees in Ontario. 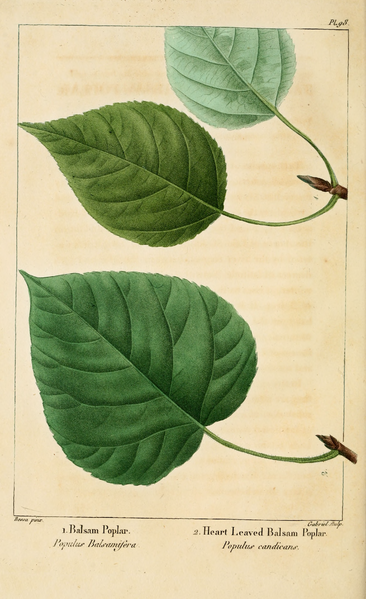 The leaves of the balsam poplar are heart-shaped with razored edges and a hard taper near the point of the leaf, and they grow up to 7-10 centimeters long. Dark green leaf coloring surrenders in the fall to a golden yellow color. 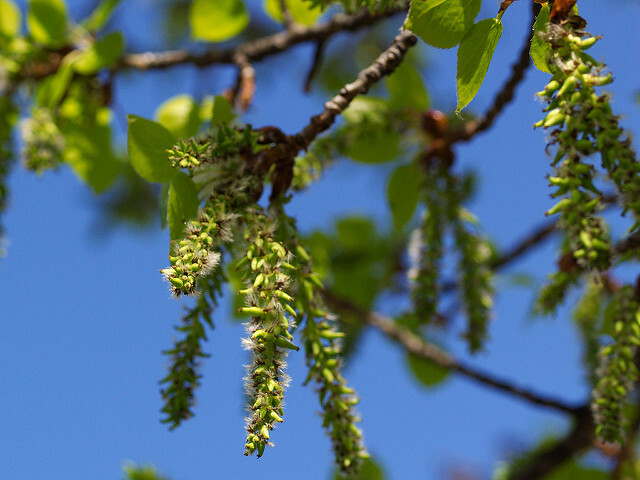 Before leaves appear in the spring, male balsam poplars produce long catkins and females produce cotton-esque seed bunches similar to their cousin in the Willow family, the Cottonwood. The catkins and cotton-esque seed bunches are the tree’s way of flowering. The tree’s balsam, or its resinous sap, comes from its buds, and is sometimes used as a hive disinfectant by bees. 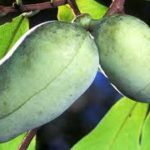 Leaves and resin from the tree were also used by First Nations peoples for poultices and salves, and gum from the tree is used in many of today’s skin care products. Balsam poplars can live to 70 years old or more, their bark changing from a brownish-green when they’re younger to a scaly grey in old age. Firewood from a healthy tree does not crackle and produces clean smoke. Balsam Poplars are fast growing trees that thrive in full sunlight and are tolerant of both wet and dry conditions. 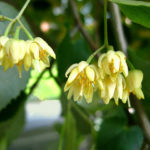 Often grown as a shade tree, they can tolerate some urban pollution and the lower branches can be removed to allow human traffic underneath the tree’s canopy. Don’t plant under power lines since the tree can grow up to 25 meters tall, and be prepared to do some cleanup when the tree drops its flowers. Also plan on having the tree pruned regularly; the best time for pruning is late winter after the most extreme temperatures have passed.